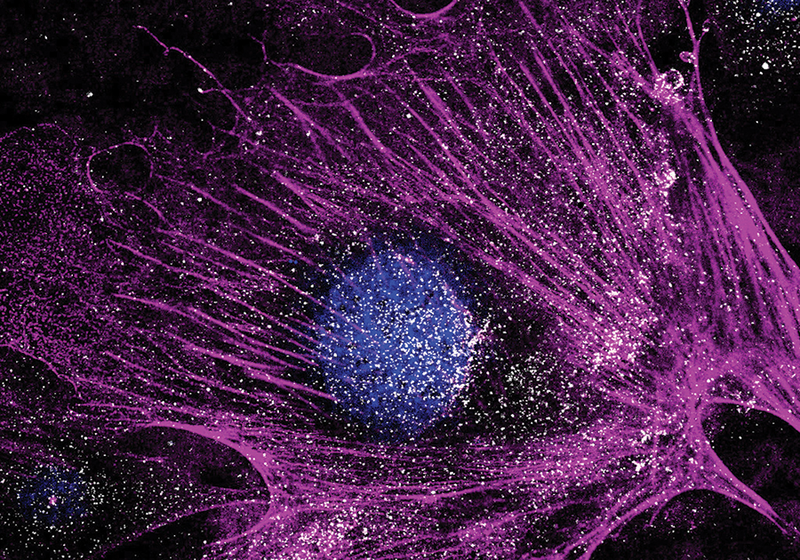 STAR BURST: This pancreatic stellate cell from a mouse with pancreatic cancer has muscle actin fibers stained pink, the nucleus stained blue, and dots of white-stained fibroblast activation protein. 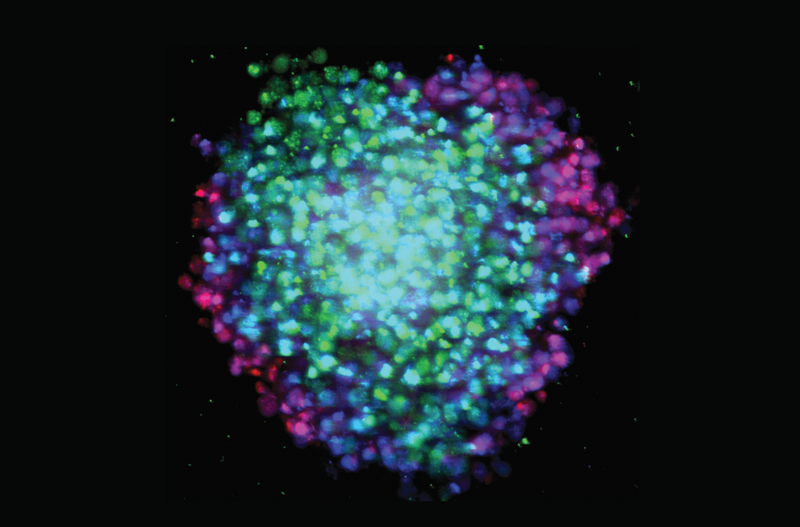 NEON COLLECTIVE: Human lung cancer cells, which can form an invasive pack to move through the body, appear in this micrograph with microtubules stained purple and DNA stained blue. 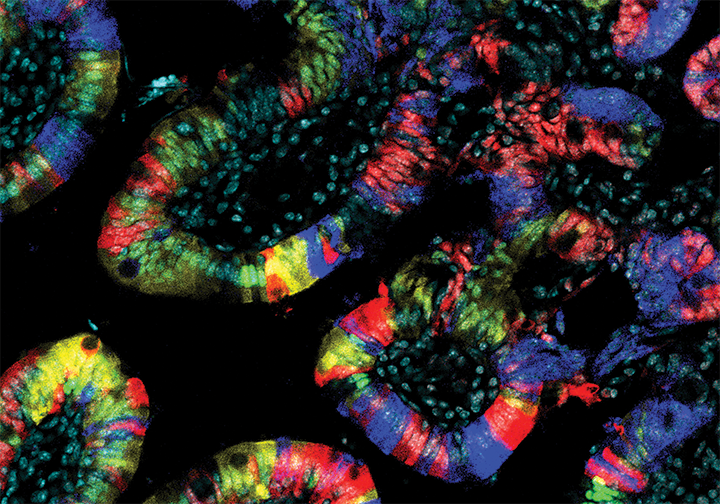 GUT REACTION: A recent study revealed that immune cells in the intestines of mice, highlighted here by fluorescent proteins, can help prevent stem cells there from becoming cancerous. 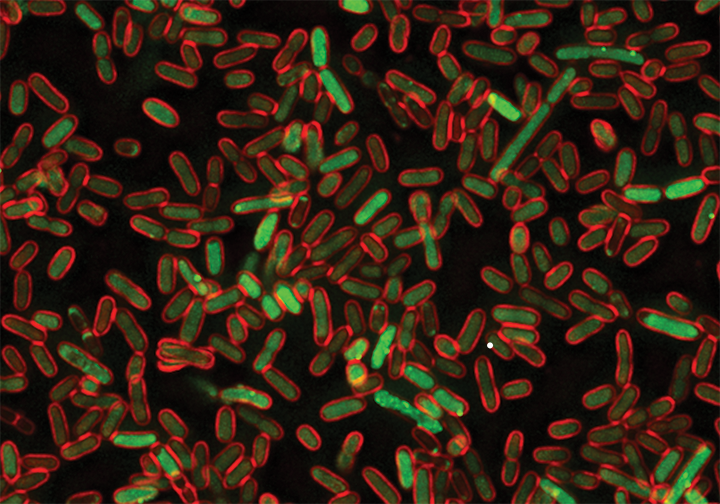 SENTINEL CELLS: These E. coli, with their membranes stained red, fluoresce green when DNA replication has stopped. 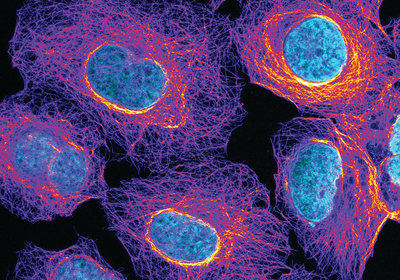 This can occur in response to an excess of certain proteins linked to cancer.